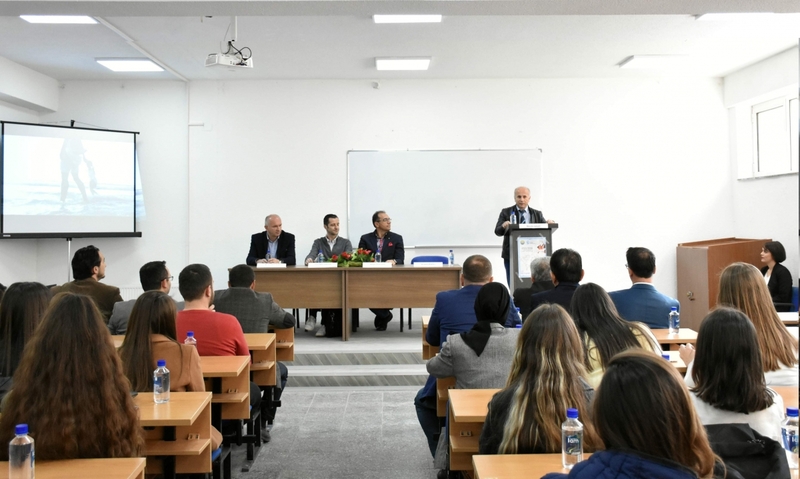 Professors and students of the Faculty of Natural Sciences and Mathematics of the University of Tetova today organized a workshop for marking the World Water Day. With the motto “Water for all” they convey messages to the entire population to pay more attention to water, because not accidentally one of the most current topics around the world, including our country is the need for water. The workshop was opened by the Dean of the Faculty of Natural Sciences of UT Prof. Dr. Alit Ibraimi. According to him, about 20% of the world’s population does not have access to drinking water. “70% of the planet Earth is water. Of 3% fresh water, only 1% is drinking water. Of nearly 8 billion people on Earth, 20% of them are not in contact with drinking water” – emphasized Prof. Dr. Alit Ibraimi. The water expert, Bojan Ristovski, at the same time the owner of the company Aqua Save, said that it is very important that the water should be billed in order not have water loss. As he said, the average water loss is about 65% and if this percentage is reduced by half, a very large number of people will be supplied with water. Meanwhile, Lulzim Shaqiri from the Municipal Public Enterprise – Tetovo, estimated that water loss is serious everywhere and very little is done to stop this loss. He said that the city of Tetovo faces the same problem and in most cases the water is misused due to negligence of people. Environmental activist Toni Nikushevski presented to students the newest air and water purification process through photocatalysis. Among other things, he added that this method is applied in architecture, textiles industry, Neo Carbon fuel production and so on. The workshop ended with the presentation of environmental activist from Eco Guerilla, Arianit Xhaferi. He said that water should not be a benefit element for private businesses’ interests, encouraging young people to react to these phenomena because it is about water and everybody’s life is in question. This workshop was quite constructive, as a series of ideas and views on solutions to the problems of water pollution and reduction of its loss were revealed.